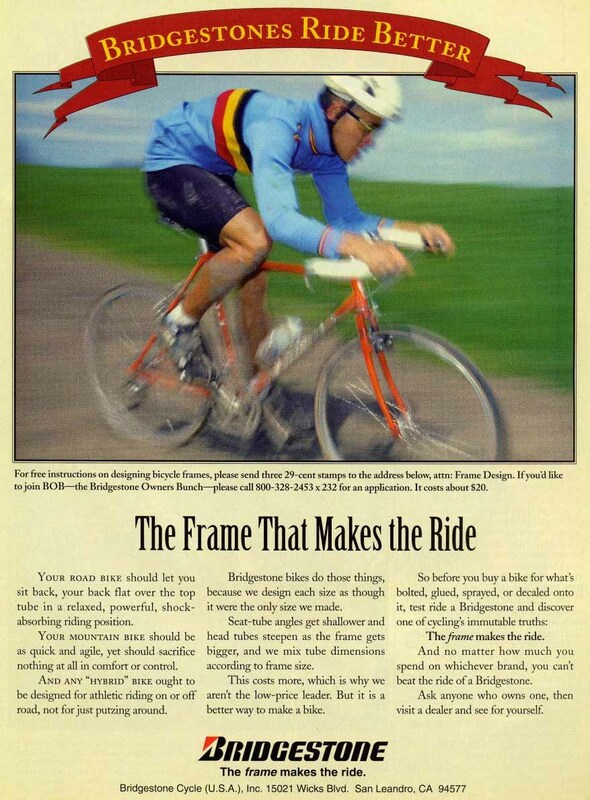 Rivendell Bicycle Works was founded by Grant Peterson in 1994 after Bridgestone USA went under due to a steady loss of sales. Inventor of the mustache bar (XO series!) and the very first cyclist accused of being a retro-grouch. For those not familiar with this term a retro-grouch is a cyclist who prefers an older standard of parts- leather saddles over padded synthetics, quill stems over threadless, steel frames over aluminum or carbon, and so on. Pictured: a Rivendell Quickbeam and Romulus owned by the author of vélo-flâneur. Rivendell Mountain Works is a pack company known for it’s frameless Jensen pack (named after climber Don Jensen) that has been brought back to life after dying out in 1981. The packs are still cut and sewn by hand in America and the company is operated by just one man. A real great value for a lasting American product available with a handful of extras on both their Jensen packs and smaller daypacks. Pictured: the current offerings from RMW, a Jensen pack in use in the North Cascades, and the Mariposa daypack. nice find with the packs- good to see usable lashabs and add on side pockets. gotta get one. I have seven rivendell packs, some vintage some modern, and they are worth every penny. A Jensen carries like a dream.